In 1998, the International DTS Centre Leadership Team, along with the Global Leadership Team (GLT) and the International Leadership for the U of N (ILT), started a process to clarify the curriculum of the DTS. 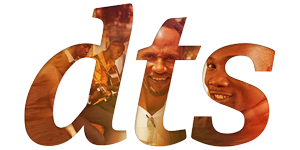 Discipleship Training School (DTS) is a 5 ½ -month course consisting of 12 weeks of teaching, 8-10 weeks of practical „on-the-field” training and a final week of evaluation. I have a deeper relationship with God after learning about His character and his heart for us. The way I live my Christian life every day has changed. I‘ve learned that I can involve God in my whole day. I also see a change in my prayer life, and I understand more about prayer and can pray more effectively. Hearing personal stories from the speakers has made my faith bigger. us to be free. When we surrender all to him, he sets us free.